Well, it’s certainly sparked a need for literature inspired by it in me since reading it for the first time a couple of years ago. The same for me! I love stuff based on Greek myths! Really want to tackle Abandon, Quiver, and a book based on Icarus the name of which escapes me at the moment. 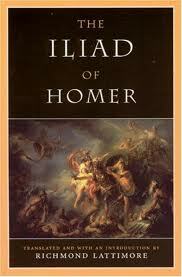 But, doing this research into books based on the Illiad (Odyssey up soon, too!) has really whet my appetite for some of the titles above!